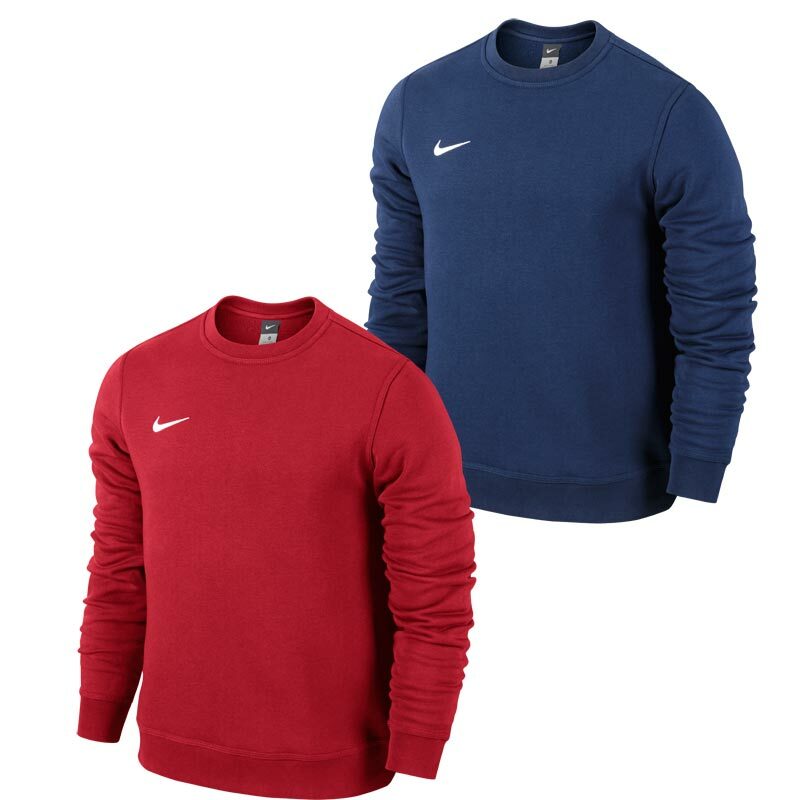 Nike ® Team Club Junior Crew, French terry fabric provides soft and warm comfort. Anticipated availability for the Nike ® Lifestyle Team Club Junior Crew: April 2015 to March 2019. 14 year old son loves this sweatshirt - it's a struggle to get him out of it to wash but when I do, it washes really well - worn daily to school and at the weekend . Excellent value for money. I bought this for my granddaughter (yes, I know it’s a boy’s sweat but she’s a tomboy who wears makeup). She was delighted with it. I’d searched everywhere on the high street and almost given up when I came across Newitts on line. Life saver. Thank you vvvvv much Newitts. Got two and wear them loads. Really comfy and look good. It's very soft and comfortable but it doesn't fit well. I wear large Junior clothes and I ordered size large Junior but it was too small and it wouldn't fit me. I recommend getting one size bigger than what you usually wear. Great fit, looks goodand very comfy to wear. Thanks. 5 out of 5 Great value. Perfect fit. Washes well keeps its shape and colour. Would defenaltly recommend. ?? I gave this item as a Christmas present. Good fit and looks great, no complaints from the recipient. Would recommend this product. I gave this product to my Grandson foe Christmas. I t was requested gift and he is very pleased with it. It's very smart. I ordered it as a large as I am over 6 foot and it is long enough in the arms and torso but it is extremely baggy. I bought this jumper last year from Newitts.com and I'm about to buy another. It looks smart and fit well.